A great find for around $50.00! 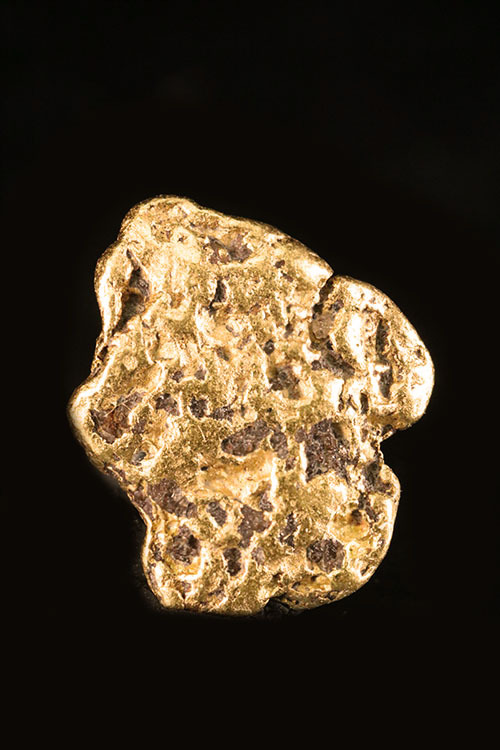 This Native Alaskan Gold Nugget weighs in at just over 1/2 a gram at 0.80 grams (12 grains) and measuring (9mm). 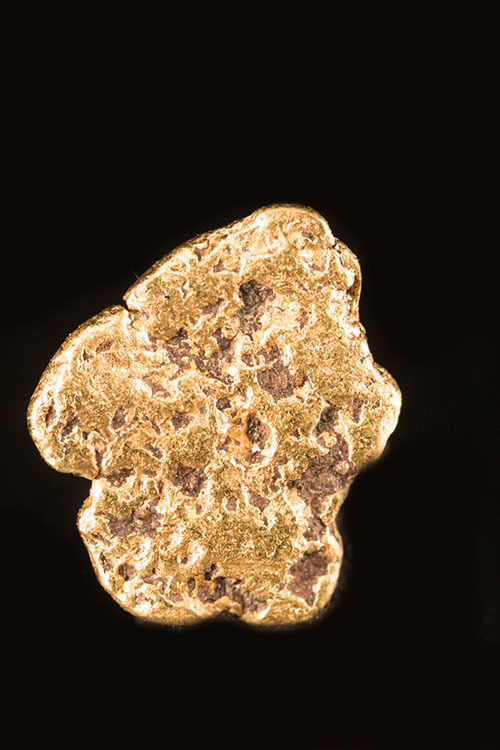 It has a organic and intricate surface with a fine coarse feel and terrific color.